Diego: "The Bundesliga has evolved tremendously"
Munich - It was six years ago that Diego burst onto the Bundesliga scene with Werder Bremen, netting 38 goals in 84 league appearances before trying his luck in Italy with Juventus. A return to Germany followed with Wolfsburg, but a disagreement with the coach meant the Brazilian playmaker spent last season on loan at Spanish outfit Atletico Madrid. There he developed a taste for success as Atletico marched to UEFA Europa League glory, but now the 33-time international is back in the Bundesliga and determined to fire Felix Magath's new-look Wolves back into the European places. In an exclusive interview with bundesliga.com the Samba star discusses his return to Wolfsburg, his aspirations this term and how the Bundesliga matches up to other European top flights. bundesliga.com: Now that everything that happened during the 2010/11 season has been forgiven and forgotten, are you looking forward to making a fresh start with VfL Wolfsburg? Diego: Yes, very much so. I'm a religious person. God paves my way and he has now brought me back to Wolfsburg. It's a good feeling to be back wearing the VfL kit. I'm here in mind, body and soul. bundesliga.com: You were warmly received by the public when you played at home during pre-season against Manchester City. How did that feel? Diego: It was a very nice, emotional moment for me. The fans' greeting was incredibly friendly and I felt that I once again belonged to the VfL family. bundesliga.com: What can VfL achieve this season? Diego: Our goal is to qualify for a European competition, so at the very least we have to finish in sixth place. That won't be easy, but our team boasts the necessary quality to reach that target. bundesliga.com: Can Felix Magath put together another squad that are capable of competing for the Bundesliga title? Diego: Yes, I firmly believe that, despite the fact that we lost this weekend. [Magath] has proved several times in the past that he can build teams that are capable of playing as one of the foremost sides and winning titles. bundesliga.com: Who will lead the title race in the coming campaign? 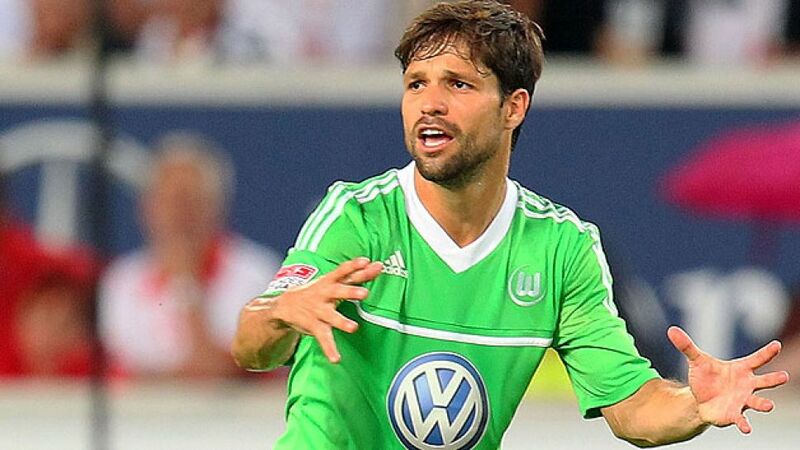 Diego: FC Bayern Munich and Borussia Dortmund are the two strongest sides in my eyes. Directly behind them though are a whole host of teams, who have strengthened well over the summer and who will be competing for the top six spots. We belong in this group and want to assert ourselves against our competitors. bundesliga.com: What targets have you set yourself personally this season? Diego: I want the fans to be able to experience the Diego on the pitch who they so warmly received and took into their hearts here in Wolfsburg a few years ago. bundesliga.com: Is the Brazilian national team something you're thinking about, especially as the 2014 World Cup will be hosted by your home country? Diego: That's a big goal of mine. I'm still hoping to receive a call-up and I'm ready if that's the case. To be able to take to pitch during a World Cup in your own country is the greatest possible experience for any footballer. bundesliga.com: Having won the UEFA Europa League with Atletico Madrid are you now more motivated to lead Wolfsburg into Europe? Diego: That has nothing to do with it. We definitely want to win back our place in the European competitions and we're strong enough to reach this ambitious target. Within that I want to play my part in order to help the team be successful. bundesliga.com: You've played in the Italian as well as the Spanish top flight over the past few years. How do the two leagues compare with the Bundesliga? Diego: All three of them are absolutely top leagues. I would say that, after the Premier League, the Bundesliga is the second strongest and most attractive league in the world. The new stadiums, the incredible popularity amongst the fans and the superbly run clubs: the Bundesliga has evolved tremendously over the past few years and has already overtaken Spain and Italy in that respect. bundesliga.com: Have you helped your new teammate Fagner to settle down in Germany? Diego: Yes, but it wasn't just me. The whole team has supported him and made him feel at home here. Since he's only just started learning German, Naldo, Josue and I often jump in as translators for him.